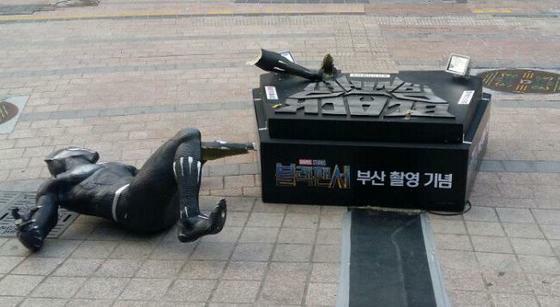 On March 18, the statue of ‘Black Panther’ was destroyed overnight. 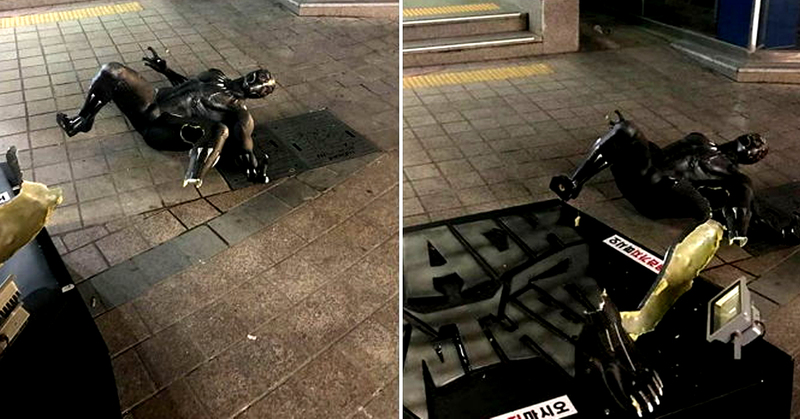 Walt Disney had established the statue to commemorate the shooting of ‘Black Panther’ in Busan, but they took it down within a month of establishment. The Busan Film Council is assuming that the destruction was created by a drunk man. On March 18, Busan Film Council reported that the statue, located in Gwangbok-ro, Busan, was destroyed some time between the evening of March 16th and dawn of 17th. A citizen discovered the statue, which had fallen off from its support fixture. The left ankle was detached from the foot.